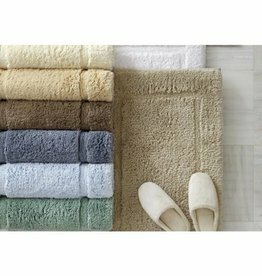 The Reverie textured bath rug is made from incredibly soft low-twist yarns, which give it a magnificent silky finish. 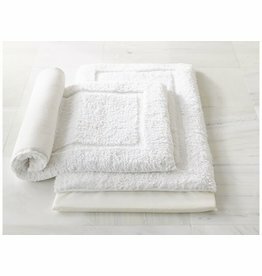 Made from 100% cotton, Reverie coordinates with select colors in our best-selling Milagro towel collection. Whenever I get lost in the South Pacific, I dream of islands and trade routes I have yet to find. 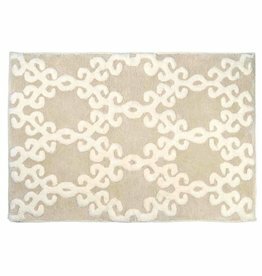 This simple overlapping design weaves back and forth, like the bark of a coconut tree or the beads of an ancient abacus. 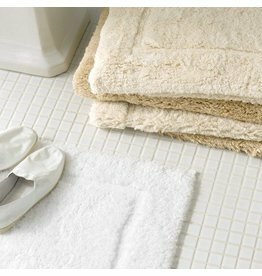 The every-popular Tiffany bath rug with an added removable, high density foam insert that repels water and is naturally antimicrobal. 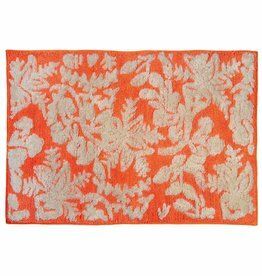 Peacock Alley's Tiffany bath rug is the ultimate in luxury bath rugs. 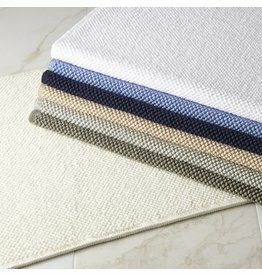 MILAGROA miraculous addition to the bath experience–the incredibly soft Milagro plush pile rug is woven from luxurious 100% long-staple cotton. Available in White, Linen or Ivory.